Pier 30-32 Red's Java House is a waterfront institution serving burgers and beer for a few bucks. The atmosphere is distinctly longshoreman despite its popularity with the financial district crowd that discovered the joint in the '90s. The burgers are perfectly leaden and guaranteed to repeat! 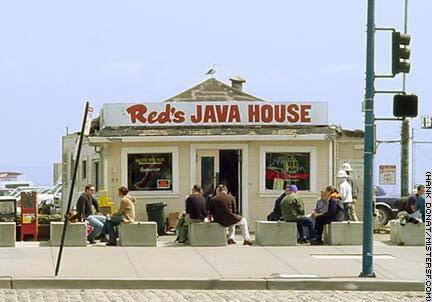 The place is named for a former owner, an Irish boxing coach known as Red.